Carbon monoxide, or CO, is a colorless, odorless gas produced when fuel is burned in cars, trucks, small engines, stoves, lanterns, grills, fireplaces, gas ranges or furnaces. Carbon monoxide poisoning occurs when a person inhales carbon monoxide, which quickly replaces oxygen in the bloodstream. The Centers for Disease Control and Prevention (CDC) reports that about 400 Americans die each year from unintentional CO poisoning, and there are more than 20,000 emergency room visits (and more than 4,000 hospitalizations) related to this potentially deadly substance. When CO poisoning is preventable, and occurs due to a defective product, you may be entitled to compensation for your injuries. Georgia injury victims turn to Harris Lowry Manton LLP when they need legal counsel. We have obtained significant verdicts and settlements on behalf of our clients who were hurt by defect products. Our product liability lawyers in Atlanta and Savannah are ready and able to help you. A person drives the car into the garage and closes the door. In the morning, that person is found dead of carbon monoxide poisoning. Why? Because remote keyless engines do not contain adequate warning alarms to alert the driver that he or she is walking away while the engine is still running. There is no mandate that the cars must shut off if left running for a certain amount of time. Finally, the newer engines are so quiet that many drivers do not even realize the engine is still running. As a result, drivers all over the country think they are turning their car engines off, when in fact, they are not. According to research done by The New York Times, at least 28 people have died and more than 45 were critically injured because of inadvertent carbon monoxide poisoning from keyless ignition vehicles. The National Highway Traffic Safety Administration (“NHTSA”) has proposed federal rules to require a series of beeps that would alert a driver that the car is still running; or, in other cases, to make the engine shut off completely when the driver exits the vehicle with the key fob. The Times says that NHTSA’s proposed rules “could be accomplished for pennies per vehicle.” The auto industry has opposed such a rule, so this potentially life-saving change has yet to be implemented. What other product defects can lead to carbon monoxide poisoning? Exposures to low levels of CO can cause serious illness. Higher levels of exposure over a shorter time can lead to death. The danger posed by carbon monoxide poisoning is that a person may be overcome by the gas and lose consciousness before anyone realizes what is happening. If the person is asleep, he or she may slip from sleep to unconsciousness easily. CO poisoning is especially dangerous for the elderly, infants and young children. Also, people who have asthma, emphysema or other respiratory problems, or anemia are particularly sensitive to carbon monoxide poisoning. How can I recover compensation after a carbon monoxide poisoning-related injury? The first step to determine how you might recover compensation is to identify the source of the CO poisoning. Once you can trace it to a specific product, you must determine if the product’s defect was in its design, manufacture or marketing. Product manufacturers owe a duty of care to the consumer to design, make and sell products that will be safe and perform as promised. If a defective product is determined to be the source of the poisoning, the attorneys at Harris Lowry Manton LLP may help you pursue a product liability lawsuit. 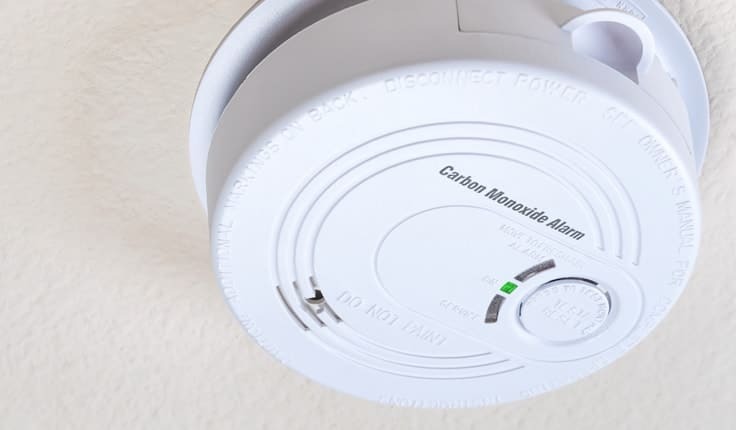 If the carbon monoxide poisoning occurred at a bed and breakfast, for example, or in someone else’s home, the property owner may be held responsible because they owe their guests a duty of care to provide a safe environment and to remove any unreasonable hazards. If a property owner is at fault in a carbon monoxide poisoning injury case, you may be able to pursue a premises liability case. Is it necessary to hire a lawyer for my CO poisoning case? If you or a loved one has been injured because of a carbon monoxide leak, and you are seeking compensation for your losses, you can benefit from the services of an experienced Atlanta product liability attorney. Proving a CO leak injury can be complicated. Demonstrating that an invisible, odorless gas was the cause of your injury is a challenging task, but it is one that our team of Georgia injury lawyers understands. You need the help of a legal team like ours, with extensive experience handling complicated cases. If you can prove negligence and injuries, you may be entitled to recover money damages for your medical expenses, your lost income at work, pain and suffering and emotional distress. An Atlanta or Savannah product liability attorney from HLM is here to hold manufacturers and all other defendants liable when their negligence led to your injury. At Harris Lowry Manton LLP, we are here to offer you skilled representation when you are injured because of a defective product. Not only do we understand the complexities of product liability litigation, we know what it takes to recover compensation for you. Please call our Atlanta office at 404-998-8847 or our Savannah office at 912-417-3774 to schedule a free initial consultation to discuss your case. You can also complete our contact form. We are ready to help you obtain justice for injuries caused by product defects.